At Arizona State University, we’ve been educating engineers for Arizona and the world for more than 60 years. Today, with over 22,000 students, we are building on a rich history. Our curriculum and programs have evolved to meet a rapidly changing technology landscape. Our research is at the forefront of innovation and we continue to foster close ties to industry and government. Our facilities reflect a strong commitment to providing the state-of-the-art infrastructure that has enabled our faculty and students to design and implement solutions that impact our community. Much has changed in 60 years but looking back over time, we have always had a culture that emphasized problem-solving, multidisciplinary interactions and societal context and connections. It all began on February 26, 1885 when House Bill 164, “An Act to Establish a Normal School in the Territory of Arizona,” was introduced to the 13th Legislative Assembly of the Arizona Territory by John Samuel Armstrong. The bill, strongly supported by Charles Trumbull Hayden of Tempe, passed the House on March 6 and the Council on March 11 and was signed by Governor F. A. Tritle on March 12, 1885, thereby founding the institution known today as Arizona State University. Under the supervision of Principal Hiram Bradford Farmer, instruction was instituted on February 8, 1886, when 33 students met in a single room on land donated by George and Martha Wilson of Tempe. The 1957-1959 course catalog included courses in the division of engineering in chemical engineering, civil engineering, computer engineering, electrical engineering, engineering science, industrial engineering, mechanical engineering and nuclear engineering. The 1959-1961 catalog expanded to 190 courses plus 35 doctoral courses, up from 99 total in the first catalog. As of May 31, 1960, 136 Bachelor of Science in Engineering and 10 Master of Science in Engineering degrees were granted. During the 1960s, with the presidency of Dr. G. Homer Durham, Arizona State University began its academic rise with the establishment of several new colleges including the College of Fine Arts, the College of Law, the College of Nursing, and the School of Social Work. It also began a reorganization which formed the College of Liberal Arts and Sciences and the College of Engineering and Applied Sciences. At this time the university also gained the authority to award the Doctor of Philosophy and other doctoral degrees, a big step towards becoming a serious institution. The College of Engineering and Applied Sciences was divided into four divisions of instruction: agriculture, architecture, engineering and technology. Engineering fields of specialization included: chemical engineering, civil engineering, computer engineering, electrical engineering, engineering science, industrial engineering and mechanical engineering. The next three presidents—Harry K. Newburn, 1969-71, John W. Schwada, 1971-81, and J. Russell Nelson, 1981-89—and Interim President Richard Peck, 1989, led the university to increased academic stature, expansion of the campuses, and rising enrollment. Under the leadership of Dr. Lattie F. Coor, from 1990 to June 2002, ASU grew to serve the Valley of the Sun through multiple campuses and extended education sites. During his tenure, ASU was named to Research Extensive status by the Carnegie Foundation for the Advancement of Teaching. At that time, nationally, only 88 universities had been granted this status, indicating successful garnering of support for research projects and educating future scientists. In 2002, ASU entered a new phase when Michael M. Crow joined the university as its 16th president. At his inauguration, President Crow highlighted his vision for transforming ASU into a New American University — one that is open and inclusive; that embraces its cultural, socioeconomic, and physical setting; and that promotes use-inspired research. As the only research university serving the entire metropolitan Phoenix area, ASU is in a unique position to evolve together with the city into one of the great intellectual institutions in the world. The university also began a significant realignment initiative known as “One University in Many Places,” which adopted a college/school-centric model for restructuring ASU across four distinct full-service campuses valley-wide. Today, the engineering schools have more than one million square feet of space on the Tempe campus, providing room for a growing faculty to advance use-inspired research. The office of Global Outreach and Executive Education (GOEE) takes ASU’s engineering expertise off campus through innovative online programs, short courses and global partnerships. GOEE was formed in 2002 to provide industry partners seeking a global and flexible anytime/anyplace learning environment for their engineers to complete advanced degrees. In 2003, the program began offering engineering graduate degrees completely online. Currently, the program offers 10 master’s degree programs and three graduate-level academic certificate programs. In recent years, the programs have expanded to include undergraduate degree programs in engineering management and electrical engineering. 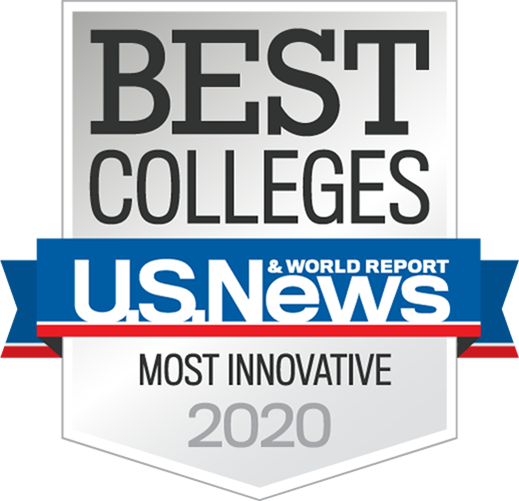 In national rankings by U.S. News & World Report, ASU’s engineering schools place number two for student services and technology provided in an online graduate engineering program. GOEE administers the Higher Engineering Education Alliance Program (HEEAP), which was established in 2010 with a $5 million grant from the United States Agency of International Development (USAID) and Intel. HEEAP has since attracted additional academic and industry partners in a collaborative effort to improve the quality of Vietnam’s higher education curriculum and support the country’s growing high-tech industry. Early success in the program has prompted further investment in an effort to accelerate efforts. In 2012, Intel, ASU and the Vietnam Ministry of Education and Training (MOET) signed a memorandum of understanding for a combined investment from Intel and MOET of more than $10 million over five years. Combined investment from industry and government partners since HEEAP was established has grown to $40 million. Since receiving his transformational gift, the Ira A. Fulton Schools of Engineering have seen tremendous growth — both in scale and quality — of people and programs. Fulton’s investment has served as a catalyst for this advancement, enabling the development of a dynamic portfolio of strategic initiatives that benefits students, faculty and the communities where they live and work. Ranked among the top 25 percent of all accredited public engineering programs in the nation by U.S. News & World Report, the Ira A. Fulton Schools of Engineering have experienced over five decades of phenomenal growth and success. While the principal focus is the education and training of future engineers, the schools research and outreach activities strive for engagement at diverse levels, from industry collaborations and small business partnerships to K-12 education and community involvement. Consistent with Crow’s blueprint for a New American University, Fulton Engineering emphasizes discovery, design, innovation, entrepreneurship and societal impact. A number of innovative programs and student-centric services — E2 Camp freshman orientation, engineering residential communities, undergraduate research programs such as FURI — the Fulton Undergraduate Research Initiative, student organizations, leadership and entrepreneurship opportunities such as EPICS — the Engineering Projects in Community Service program, and tutoring and career services — are designed to support a hands-on, creative environment that is known as the Fulton Difference. Fall 2018 enrollment was over 22,000. To meet this growth and expand its research expertise in core areas of health, energy, education, security and sustainability, faculty numbers have grown to more than 355. Research expenditures for fiscal 2018 were an estimated $104.7 million. The Arizona Board of Regents authorized the establishment of the College of Applied Arts and Sciences. The new college was initially comprised of the divisions of agriculture, architecture, engineering and industrial education. The first bachelor’s degree program in engineering was approved. The college’s engineering division became the School of Engineering, and the first Engineering class graduated from Arizona State College. The School of Engineering was renamed the College of Engineering Sciences, and a separate College of Architecture was established. A Division of Construction was added to the College of Engineering Sciences, and the name of the Division of Industrial Design & Technology was shortened to Division of Technology. The College of Engineering Sciences was renamed the College of Engineering and Applied Sciences. The divisions of construction, technology and agriculture were reorganized as the Schools of Construction & Technology, and Agribusiness & Environmental Resources. Through a gift of the Del E. Webb Foundation, an endowment was set up to create the Del E. Webb School of Construction. A separate school was created for technology. The Schools of Technology and Agribusiness moved to ASU Polytechnic Campus. The Department of Bioengineering was renamed the Harrington Department of Bioengineering in honor of a $5 million gift from the Harrington Arthritis Research Center. Ira A. Fulton, founder and CEO of Fulton Homes, one of the nation’s largest builders of residential housing, established an endowment of $50 million. The College of Engineering and Applied Sciences was renamed in his honor. The Ira A. Fulton Schools of Engineering commemorated 50 years of excellence in education and research. The College of Technology and Innovation on ASU’s Polytechnic campus renamed The Polytechnic School and becomes sixth school in the Fulton Schools.